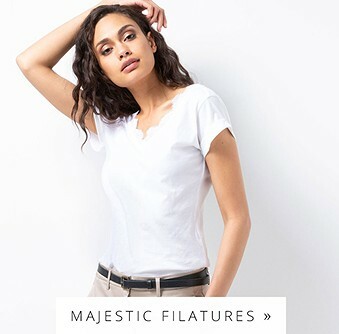 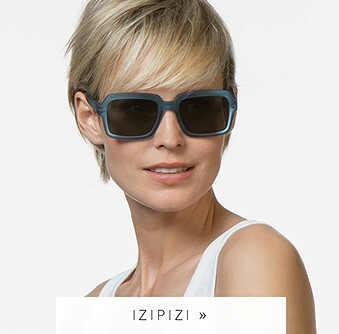 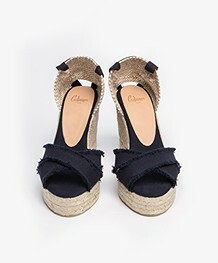 The known Castañer style with a retro touch! 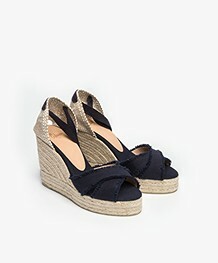 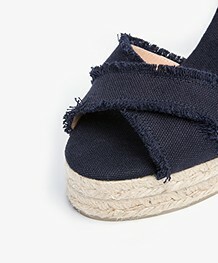 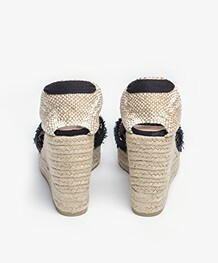 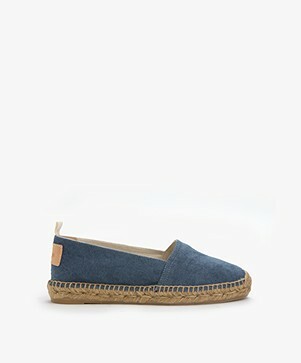 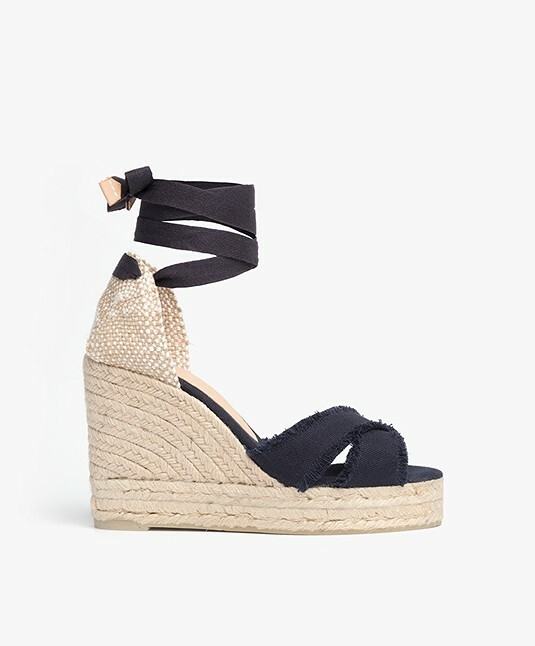 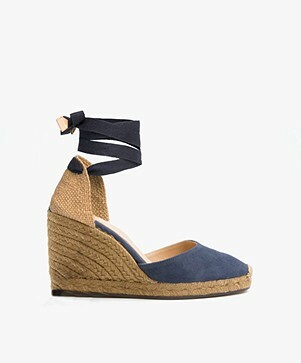 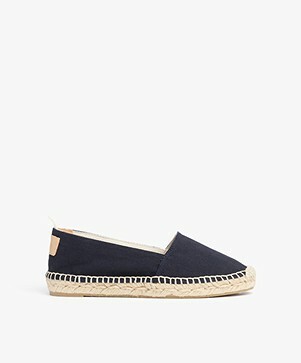 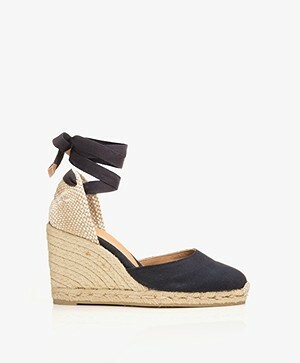 These dark blue canvas espadrilles come with jute wedge heels and woven heel in off-white and beige. 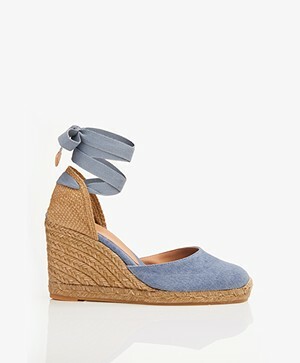 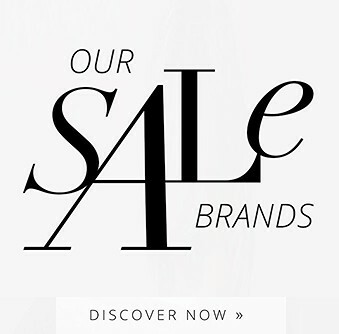 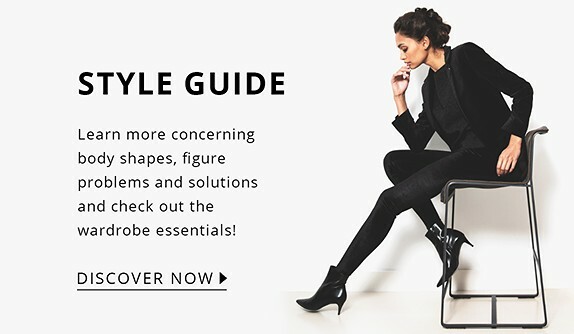 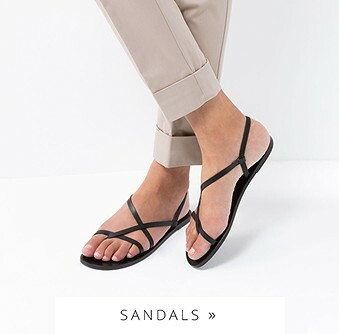 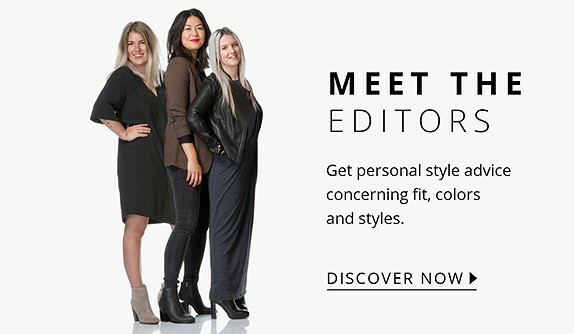 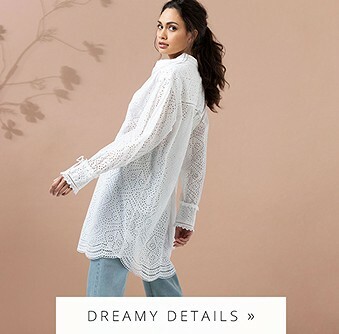 The cross design at the forefoot create a peep-toe design for extra femininity.